The proposed rules were finalized just under the wire. Update: The new rules were finalized on January 18, 2017, but the USDA in February 2017 delayed the the effective date of the Organic Livestock and Poultry Practices final rule until May 19, 2017; on May 9, 2017, the agency further delayed the implementation until at least November 14, 2017. On November 9, the USDA continued the delays, pushing back implementation until at least May 14, 2018. As we’ve reported in the past, buying certified organic meat doesn’t guarantee the animals were treated humanely. And while there’s no cure-all for an industry that often prioritizes economy over animal welfare, things may be looking up for all animals raised on organic farms in the U.S.
That’s because a set of rules called the Organic Livestock and Poultry Practices (OLPP) won last-minute approval from the Office of Management and Budget (OMB) and could make it onto the Federal Register to become law within the week. The OLPP enacts comprehensive animal welfare standards covering living conditions (particularly for poultry), healthcare, slaughter, and transport. The proposed rules are the product of decades-long conversations involving the Organic Trade Association (OTA), animal welfare and consumer groups and they’re based on formal recommendations from the National Organic Standards Board (NOSB), the 15-member public advisory group to the U. S. Department of Agriculture (USDA)’s National Organic Program comprised of organic producers, environmentalists, and consumer advocates, among others. Some are more optimistic, like John Brunnquell, President, Egg Innovations and Organic Egg Farmers of America. “Our customers support and expect organic farmers to uphold a higher standard of animal treatment. The value and integrity of the organic seal depend on meeting these expectations. By restoring that integrity, these rules will benefit producers who adhere to the true spirit of organic production. We commend USDA and look forward to the implementation of these rules,” Brunnquell said in a statement released by the Association for the Prevention of Cruelty to Animals (ASPCA) on Thursday. Nevertheless, the enactment and enforcement for OLPP remains uncertain under the next administration. The most contested aspect of OLPP—out of an exhaustive list of amendments for poultry and livestock welfare—is a new, clarified definition for the outdoor access standard. The existing national organic law, first enacted in 2001, requires “year-round access for all animals to the outdoors, shade, shelter, exercise areas, fresh air and direct sunlight,” and expressly prohibits “total continuous confinement.” But it doesn’t go into detail about exactly what that means. “For a good segment of organic poultry, there is no outdoor access at all,” said Jones. Instead, multi-story aviaries fulfill the letter of organic law with covered porches. During an extended public comment period in early summer 2016, OLPP garnered 6,675 public comments. It was widely praised by independent organic producers, consumers, and a coalition of 15 animal welfare organizations that offered refinements to OLPP while urging quick finalization. For others, the rule change raised alarms, especially over the biosecurity risks for poultry. But some giant egg producers, many of whom have conventional operations as well, along with some veterinarians and state agricultural organizations challenged the outdoor access rule based on what they say are unthinkable disease and contamination risks. 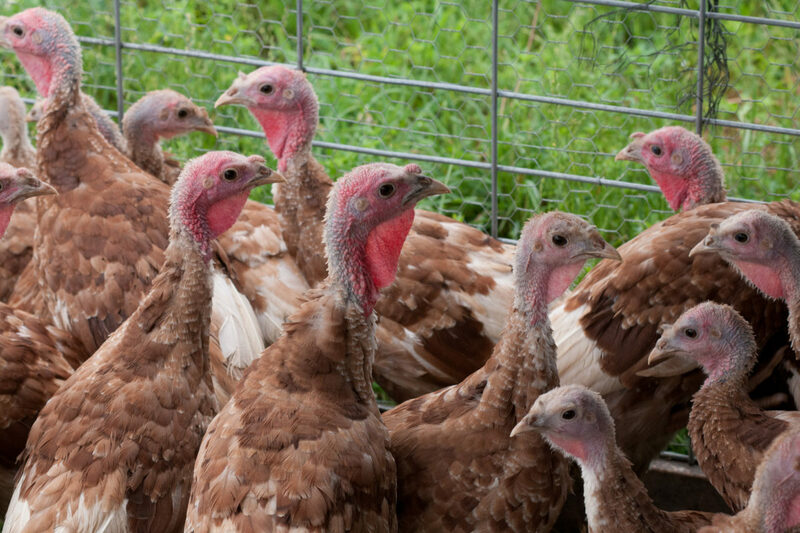 The avian flu epidemic in 2015 caused $3.3 billion dollars in losses according to U.S. Poultry, and the poultry industry is bracing for the next outbreak. Despite the fact that it was only confinement operations—and not one outdoor flock—that suffered losses from the 2015 outbreak, the requirement to put laying hens in contact with soil and outside of the protected shelter of the porches has remained the hot button issue for opponents of OLPP. This week, the discovery of a wild duck found in Montana carrying the H5N2 virus reignited demands to stop the rule from going into effect. In drafting the OLPP, the USDA made allowances to protect birds from disease through temporary confinement during bird migrations. OTA’s Senior Crops and Livestock Specialist Nate Lewis said, “To imply that this regulation puts their birds at risk is completely unwarranted.” The USDA’s Animal and Plant Health Inspection Service, which monitors biosecurity, concurred and it has detected no influenza-related disease or mortality among domestic flocks. The majority of certified organic producers already comply with the new rule, according to several industry experts familiar with NOP. With respect to the egg industry, OTA estimates that just 5 percent of producers are out of compliance with the outdoor access provision—but those few companies produce a great deal of the eggs. And industrial-scale egg producers have invested heavily in the$40 billion organic market. This group of large producers face sizable economic implications, as genuine outdoor access usually involves more land, more exits for the animals, and reducing stocking densities to meet new indoor space requirements. For this reason, USDA built in a five-year timeline into the proposed rule to meet the outdoor access standard, while all other standards must be met within one year of the publication of the final rule to maintain organic certification. Several egg producers we spoke to expressed confidence that those who comply with the OLPP will have the capacity and the market incentives to make up the loss. In its own analysis of the economic implications of OLPP, the ASPCA cited research indicating that consumers are willing to pay more for “products perceived to be from higher welfare conditions.” The ASPCA has also found that the majority of Americans identify as “very concerned” about the treatment of farm animals and awareness of welfare labels has reached an all-time high. The USDA is working toward strengthening the organic seal even as the clock winds down on the Obama administration. The agency is expected to publish this “midnight rule” in the Federal Register before January 20.